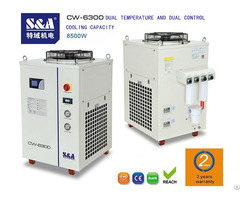 S&A brand CW-5200 chiller is fit for cooling LED uv curing system. 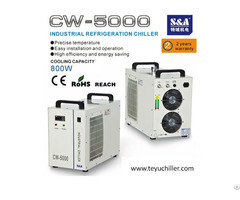 Its cooling capacity up to 1.4KW, ±0.3℃ temperature control precision and temperature control range in 5-35℃. 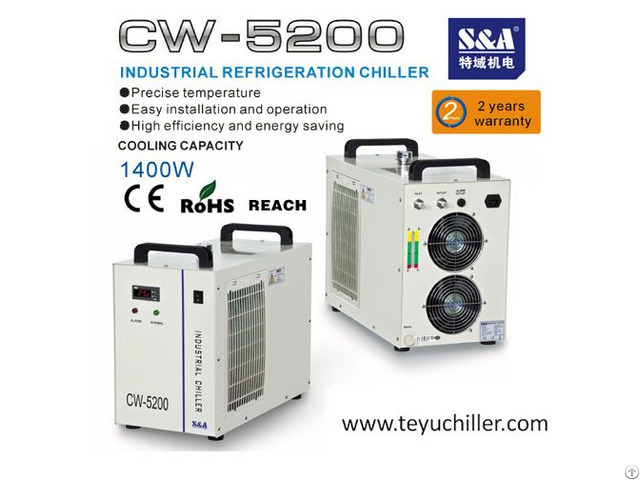 It is popular for its 2 temperature control modes as constant temperature and intelligent temperature control. 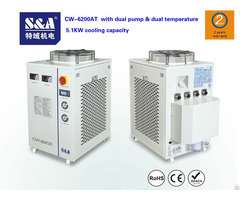 Multiple alarm functions: compressor time-delay protection, compressor overcurrent protection, water flow alarm and over high / low temperature alarm.